 When Skype suffered a massive outage days before Christmas, the response – on Twitter, on Facebook, and in comments here on ReadWriteWeb – all pointed to the huge popularity of and reliance on the VOIP service, particularly when it comes to talking to friends, family and co-workers overseas. Indeed, data released today from the research firm TeleGeography confirms that Skype is increasingly becoming the means by which international calls are made. According to TeleGeography, growth in international call traffic grew by an estimated 4% in 2010, to 413 billion minutes, down slightly from a 5% growth rate in 2009 and down substantially from the 15% average growth rate from the previous two decades. Skype, however, has seen a huge uptick in growth, particularly in the last two years. TeleGeography notes that international calls may be made less frequently, in part, due to the recession of the last few years, something that affected both the business and personal demands for cross-border calling. However, the challenge to international telcos isn’t simply an economic one, as TeleGeography’s data shows phenomenonal growth for Skype, which is now by far the largest provider of international voice-based communications. 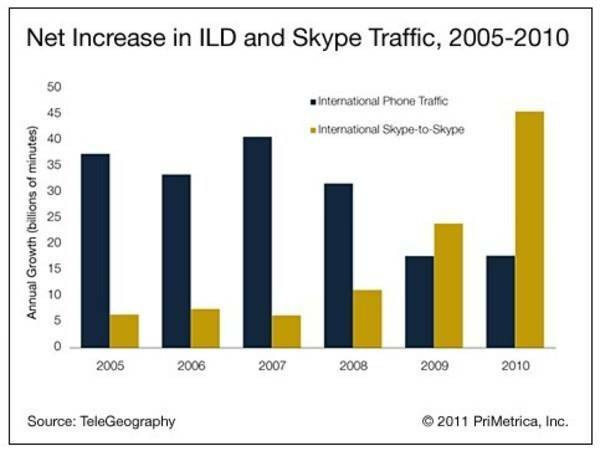 Skype’s growth rate outpaced that of international phone traffic in 2009. But it skyrocketed in 2010, growing by 45 billion minutes – more than twice the volume added by all the world’s phone companies, combined. 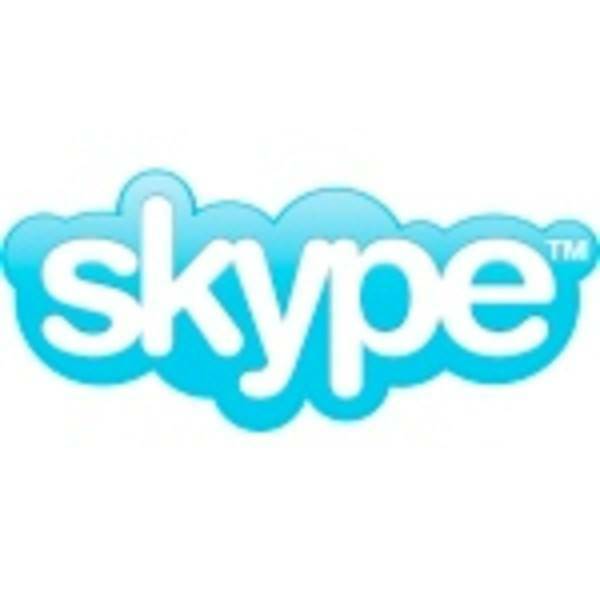 That discovery isn’t simply for international calls, as Skype is increasingly used for domestic calling as well. The service has also added video calling features, most recently to its iPhone app. And Skype is one of many companies rumored to be looking at an IPO in 2011.